The famous Flappy Bird (technically Flappy Droid) game is still around in Android 9.0 Pie. 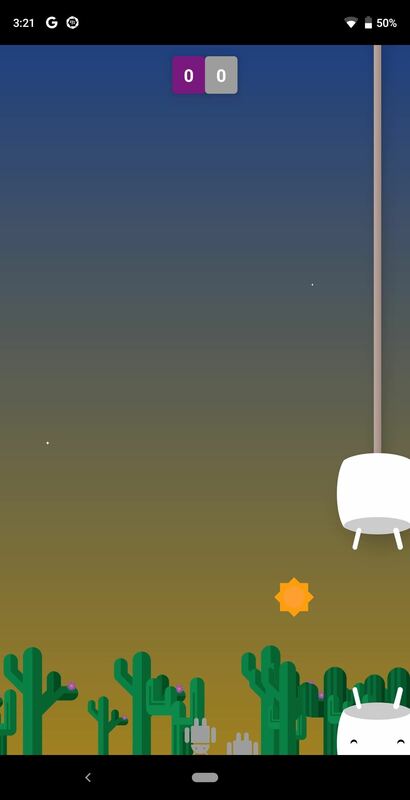 First introduced in 5.0 Lollipop, the game was originally the version number easter egg for the new Android update. But after Android Marshmallow, Google began to hide it from its usual location, and Pie continues this tradition. 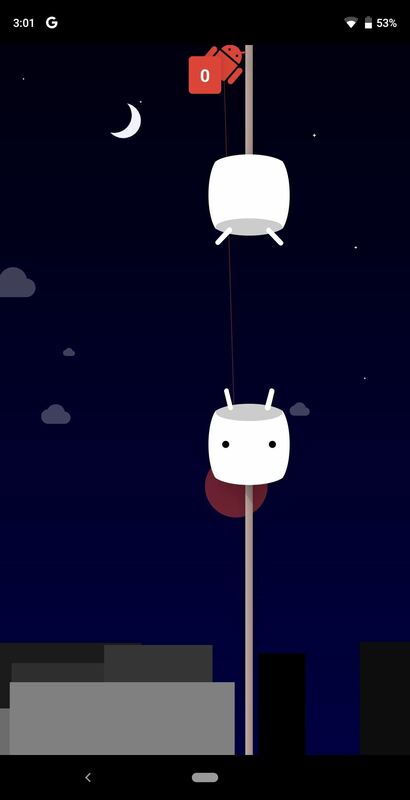 Just like Nougat and Oreo, the hidden game is the Android 6.0 Marshmallow version, which used marshmallow-shaped barriers. While it might be a bit dated, it's still a fun time-waster that doesn't need an internet connection, and it's a nice little secret to share with your friends to show off your advanced Android knowledge. 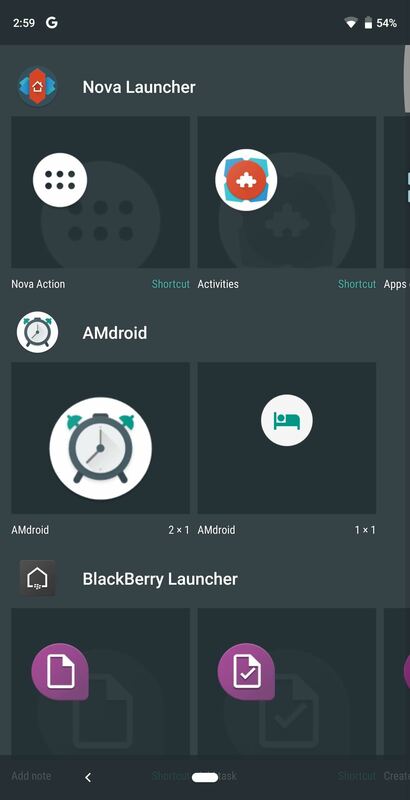 To find the game, you'll need an activity launcher to create a widget assigned to a shortcut. Some of the more popular activity launcher apps aren't working on Android 9.0 just yet, so the easiest method we've found is using Nova Launcher. With Nova Launcher open, long press the home screen and select "Widgets." Under the section for Nova Launcher, select "Activities." Scroll down until you find a drop-down menu for "System UI." Choose it, then select "Marshmallow Land." Once selected, the widget will change to a "P" icon. Simply tap this icon to launch the game. 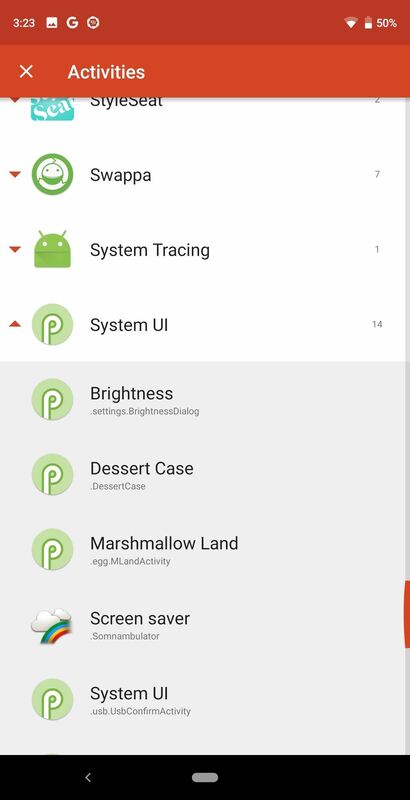 Fun fact, the Dessert Case Easter egg from older Android versions can also be found using the same method. After tapping the widget, select the play button to start the game. You can customize the number of characters you control using the plus sign towards the top of the screen, but other than that, it's just a matter of tapping your screen to keep the Android logo from running into obstacles — a lot easier said than done! We will continue to look through Android 9.0 Pie to find any more hidden gems. In the meantime, check out the link below to cheat the Flappy Droid game so you actually survive the first pillar.